Monday 4-15 5:30 Field 5 TSUNAMI-WAVE U7/8 Girls Tiffany H.
Monday 4-15 6:45 Field 5 GALAXY-SOLAR U8 Boys Tiffany H.
Tuesday 4-16 5:30 Field 4 HEAT-BLAZE U7 Boys Brayden Tre. FRIDAY 4-19 5:30 Field 6 THUNDER-RUSH U9/10 Boys Tiffany H.
THURSDAY 4-25 5:30 Field 5 TIDE-RAIN U7/8 Girls Tiffany H.
THURSDAY 4-25 6:45 Field 5 GALAXY-SOLAR U8 Boys Tiffany H.
FRIDAY 4-26 5:30 Field 5 FREEZE-SWARM U9/10 Boys Brayden Tre. 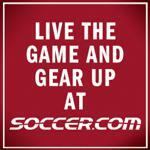 MONDAY 4-29 5:30 Field 4 KRUSH-RAIN U7/8 Girls Tiffany H.